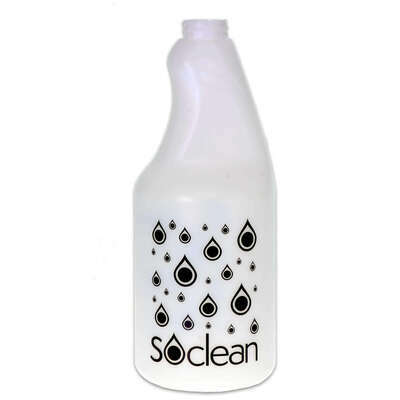 Our Trigger Spray Bottle can be used for a great many different tasks. The lightweight plastic construction makes it easy to transport while the translucent design allows for visual identification of the contents at any time. With its large capacity, it will effectively reduce the need for excessive replenishments and is compatible with the colour coded trigger tops. From cleaning your kitchen surfaces through to disinfecting areas of your business, this trigger spray bottle is a practical option for all work environments. Here at Gompels, we have a range of different cleaning chemicals that can be used with this spray bottle. From the Gompels Bactericidal Deodoriser Cotton through to Gompels Concentrated Foodsafe Cleaner, you'll find everything you need right here. This trigger bottle is also compatible with our spray tops.